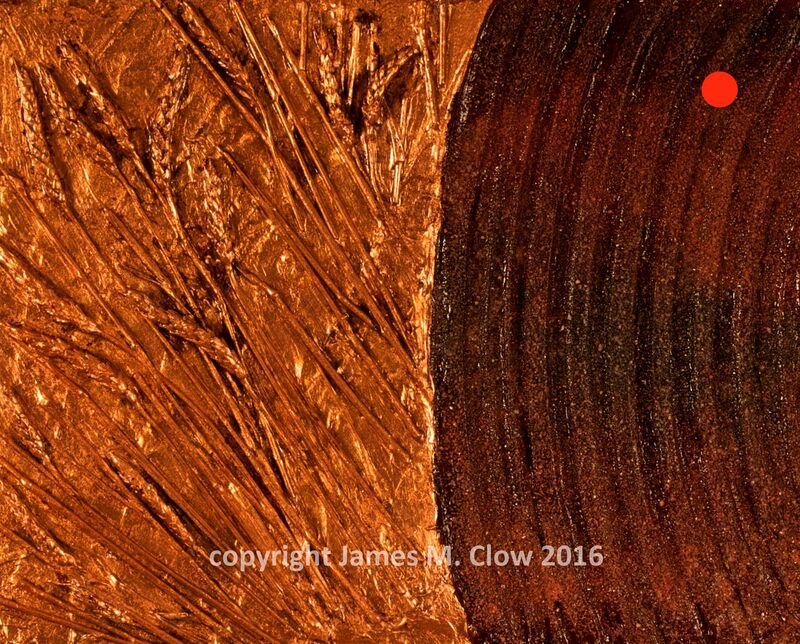 "Crop Circles 2," by James M. Clow. Mixed media, including acrylic paint, genuine copper gilding on wheat and potash on cradled birch board, 20"x16", 2016. Part of a corporate collection.